Hello dearies! I'm back with a series of product reviews from Natura Organics. 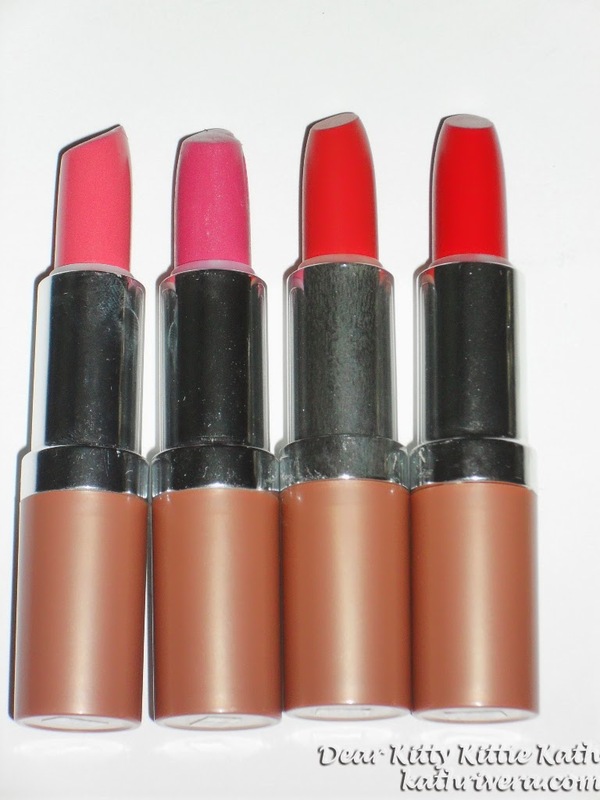 Ms. Jessica of Natura Organics Essentiel sent me these pretty lipsticks last January as a birthday gift. I was surprised when I received all the four shades of their Organic Luscious Lipstick. The first shade on the photo below became an instant fave! I love the shade because I can wear it everyday for that no makeup makeup look. When my mom and sisters saw this on my stash, they're very giddy to make their own swatch too. After applying the lipstick, my mom noticed that she looked younger. The shade she used compliments her skin tone- Tuscany Rose. My younger sister wanted to try a red-orange color that will suit her complexion. She chose Mauve Rose and after applying it on her lips, she was amazed that even without lip balm prior to the application, it didn't dried out her lips. 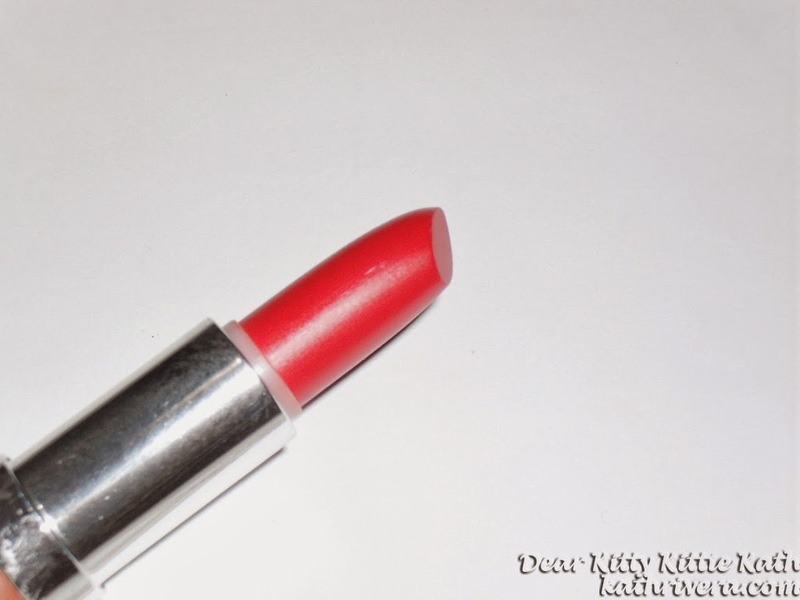 Wanna know my thoughts about these pretty lipsticks? Click CONTINUE READING to find out! Boost your lips volume with the next generation lipstick. Gloss and moisturizer all in one takes basic lip plumping to unbelievably new full extremes. YOU will experience a fuller look, INSTANTLY while lasting for hours. All of our natural and organic ingredients are carefully selected to avoid irritation or burning of your lips. Housed in a plain silver box. 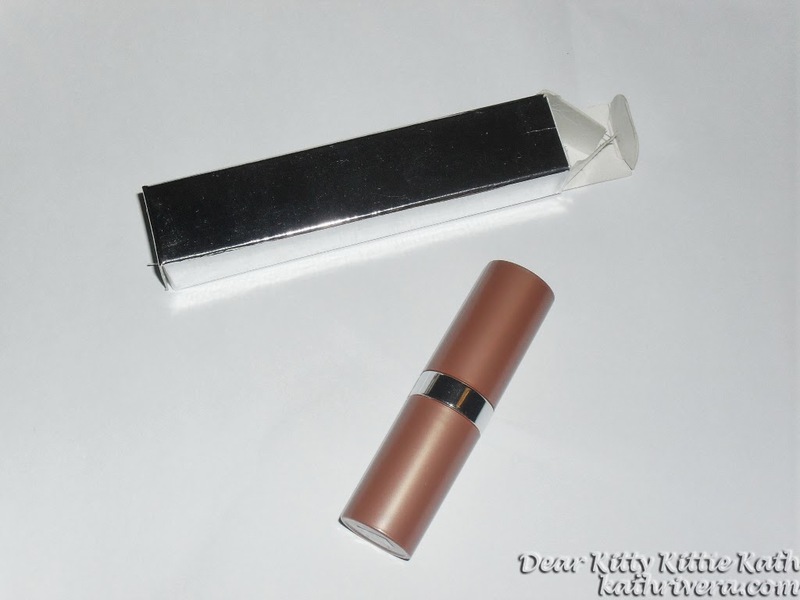 The lipstick bullet is bronze in color with silver lining on the middle part. • NIACIN moves fluid to your lips in only minutes to provide an extreme plumping effect. • The double effect of NIACIN and Shea Butter will help to reduce the wrinkles in your lips. • Gingko Balboa nourishes your lips. • Ginseng roots promote healthy cells. • Natural oils will add moisture and gloss to your lips. instructions for use: Apply the luscious lipstick either by itself or on top of your favorite lip scrub. Best of all apply it as often as you want, as this all natural product does not contain lead, any preservatives or chemicals. 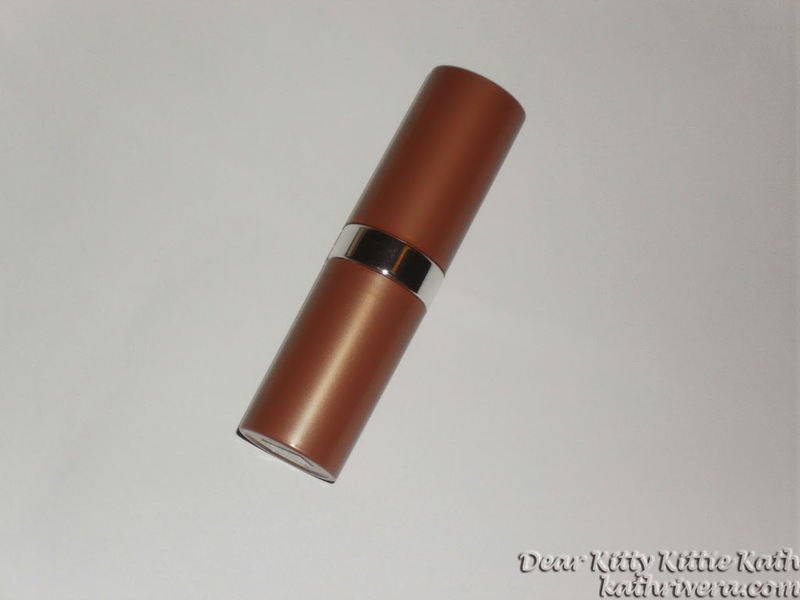 Mauve Rose- my sister's fave shade, perfect for that summer sun-kissed look! 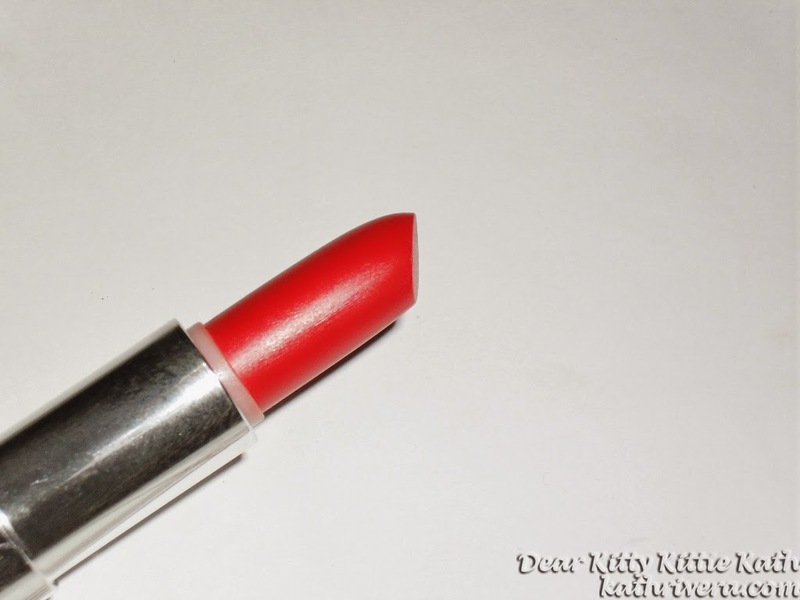 There's no weird or funky scent that other lipsticks have. The lipsticks are easily to apply. 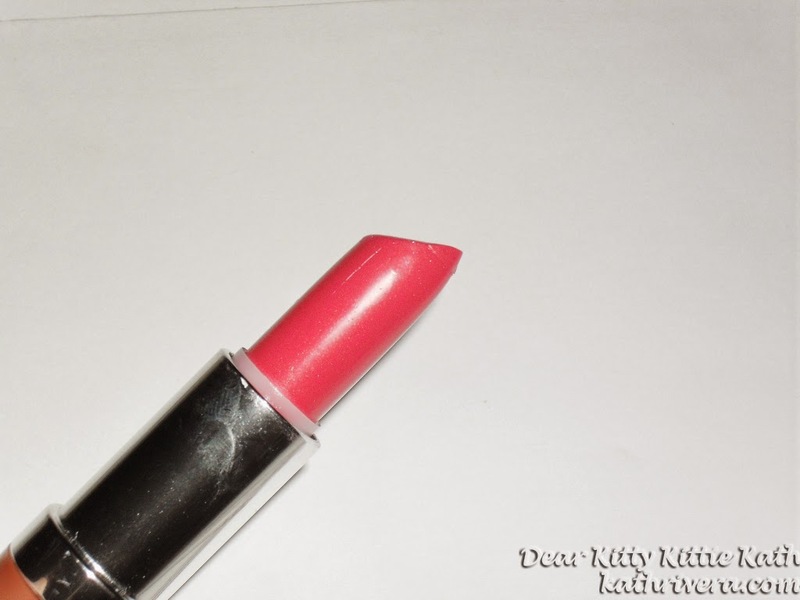 The texture is not too creamy but it's very smooth on the lips during application. Once swiped, it gives the same color that you see in the tube. I don't need to swipe more or less just to let the true color show. I have pigmented lips and in some instances the true shade of the lipstick doesn't show up on my lips. It's pigmented. One to two swipes on my lips is enough. I can see a slight plumping effect on my lower lips. Doesn't dry my lips even if I didn't applied my fave lip balm prior to lipstick application. The color lasted more than 5 hours on my lips even if I eat greasy and oily food. It's easy to remove. I don't need to use a makeup remover because my trusty facial wipes can do the job. There's a batch, manufacturing and expiry date stamped on the bottom of the bullet. The packaging of the lipstick is flimsy. Finger prints are left on the middle part of the tube that's why I have to clean it from time to time to avoid looking dirty. Only four shades to choose from. A bit expensive for budget conscious individuals. There's no product information printed on the box or on the outer side of the bullet itself. I give this a 4.5/5 rating. The first shade that I've used was Primrose. I was amazed by the staying power and the texture of the lipstick. I wore it during our Baguio trip last February. I forgot to bring my lip balm so I have no choice but to wear the lipstick alone. 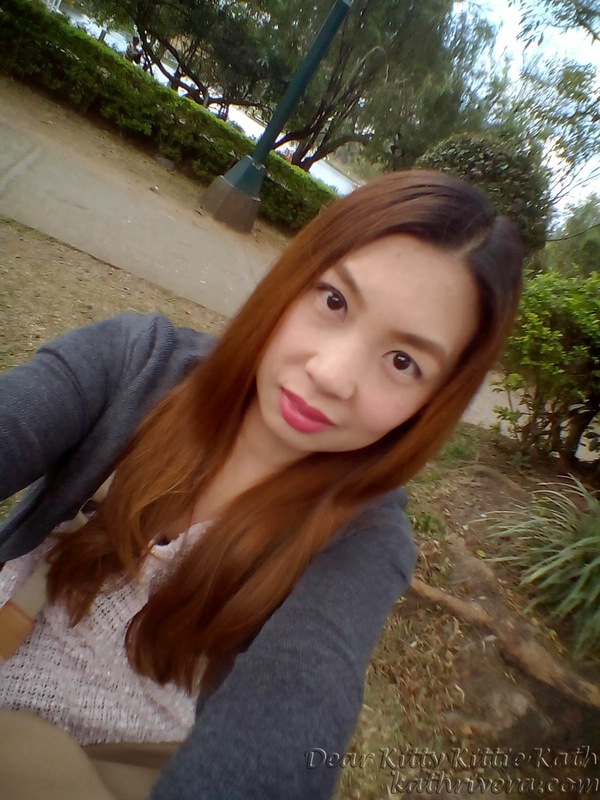 We all know that the weather in Baguio is still cold during February so I was surprised that my lips didn't dry at all. Even though my lips didn't experienced dryness, I still advise you to apply lip balm at all times. If you want to switch to organic makeup and you're looking for an organic lipstick, I recommend this brand to you. Have you tried organic lipstick before? What color is/are your fave/s among the photos above? Thanks for sharing! Oh, it's perfect for summer. Will post photos soon. The only photo that I have now with the rest of my face is Primrose. My mom borrowed Tuscany Rose that's why I wasn't able to make another swatch. The color payoff is nice. :) I'm digging Tuscany Rose and Primrose among these four shades. They're a tad expensive though, considering that Natura is still a start-up brand. Nice picks :) Yes sis, but they'll be slashing off prices on their new line up of products that includes lipsticks din. Yup, they're really nice :) Your picks are perfect for daytime wear. wow.. nice shades of lippies Ms.Kath.. its my first time to saw a lipstick na organic and it has a good pigmentation..loving the shade of primerose and tuscany rose.. and they both look good on you po. yup, very nice shades. hmm, konti pa lang organic lipsticks. thank you dear :) they will release more shades pa.